The Family History Library (FHL) in Salt Lake City is a world-renown genealogical research facility. Less well known is the network of local Family History Centers (FHC), an outreach of the church and open free of charge, which enables researchers to advance their family history research from their own community. 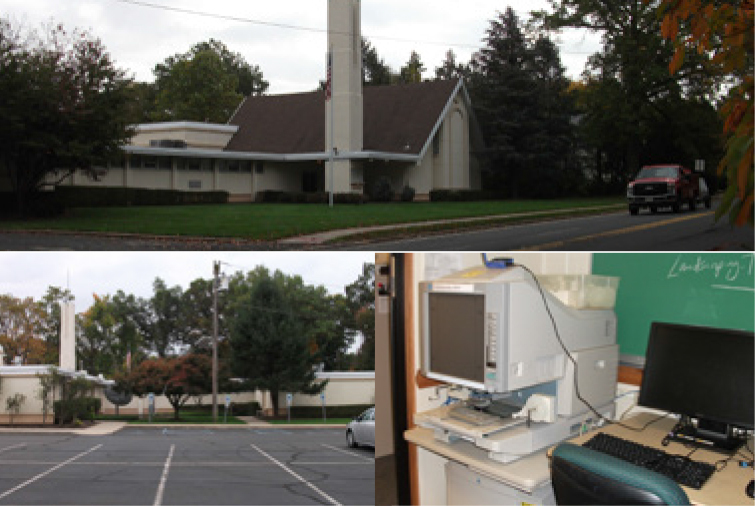 The center closest to the GSBC base at the Ridgewood Library, and an excellent facility for researchers, is located in Emerson, NJ. (A full list may be found at https://familysearch.org/locations/centerlocator ). Although the members of the Church of Jesus Christ of Latter Day Saints pursue genealogy as a religious duty, they make records they collect available to everyone — and modern-day genealogists owe them a debt of gratitude for making family histories and vital records more available than ever before. The Family History Library in Salt Lake City, Utah, is continuing their mission by digitizing billions of microfilmed records and putting them online via FamilySearch.org. Even though more and more records are being made available online, there are many benefits to visiting a center — and the on-site expertise you’ll find there and access to records not yet indexed or digitized will be worth the trip. 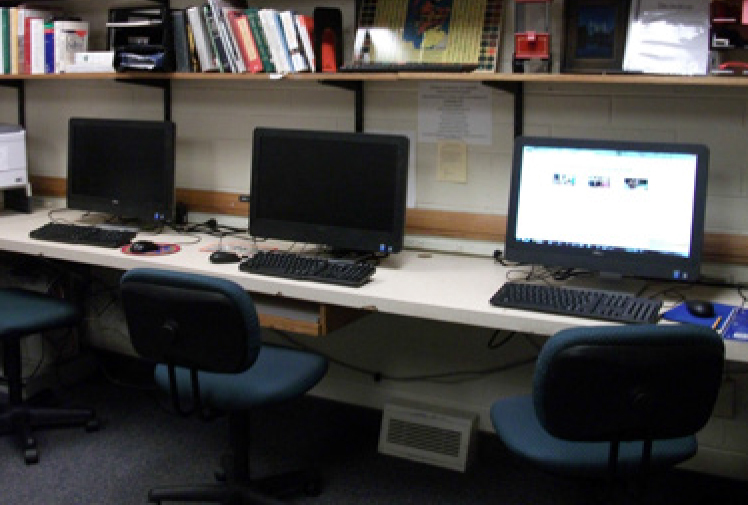 Subscription Database Access: The center has six computers for patrons’ use. The Family Search Portal, which connects to more than a dozen subscription databases (free access on-site through the Portal), is installed on each computer. Databases include: Ancestry, Fold3, Heritage Quest, My Heritage, Find My Past, Access Newspaper Archives, Godfrey Memorial Library, World Vital Records, and Historic Map Works, among others. What are some of the more underused resources? FHL Films and Microfiche: The FHL in Salt Lake City houses a large permanent collection of microfilmed records for a number of countries and many local Family History Centers (FHCs) maintain collections of films on-site. Microfilms available at the Emerson FHC include records from England, Germany, Hungary, Ireland, Italy, Poland, Scotland, the Scandinavian countries, and Switzerland. 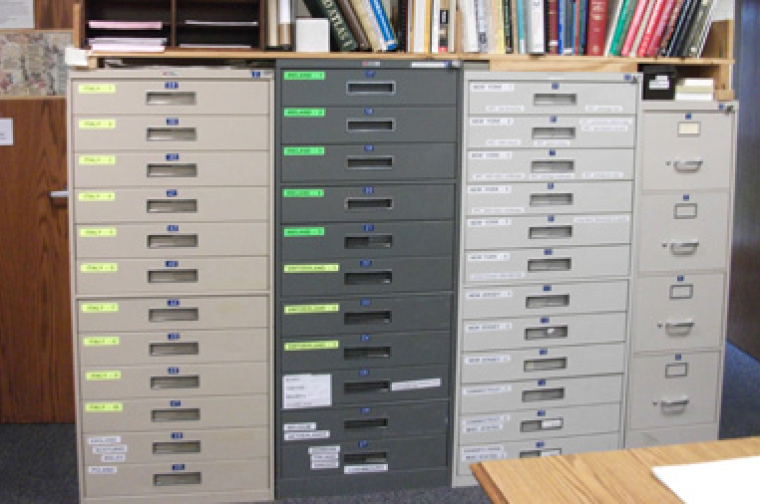 The FHC in Emerson also houses microfilmed copies of many New York City vital records indexes.Films not housed on-site at a FHC location can be ordered from Salt Lake City FHL and shipped to any local FHC center for a fee. FHC librarians and researchers can help you navigate the FHL’s vast collection of microfilmed resources and locate those films already part of the permanent collection. Maps: The FHC holds a collection of large-scale maps for many European countries and time periods. Genealogical Books: General research guidance, including excellent resources on Irish research, and miscellaneous genealogical topics. FHL Photoduplication Services: The FHC can assist you on how to order free photocopies of records from microfilms that have not yet been digitized. Hours are: Tuesdays, 9am–1pm; Wednesdays, 9am–3pm and 7-9pm; Thursdays, 9:30am–2pm; and Saturdays, 9am–1pm. There are no fees to use the center but there are small fees to print copies of records from the computers or from microfilm. Patrons can order microfilms from their home computer, which can be sent from the FHL to a Center for use on-site. Note that there is a fee for ordering film and you will need to plan ahead, as films may take 3-4 weeks to arrive. There is a microfilm reader/printer for printing from microfilm to a laser printer or copying to a flash drive. Laser prints from this machine are 40 cents per printed page. Most of the six research computers are linked to a black and white laser printer. Prints from these machines are 10 cents per printed page. Patrons may bring USB flash drives and copy records to them at no charge. There is one small step into the building. A step-free is accessible from the left wing of the building (best to call ahead to discuss access). The facility is staffed by knowledgeable and experienced volunteers. What are some "Pro" tips? Bring some background material: Arrive with as much information as possible, such as a pedigree chart, to help staff understand your research problem and provide suggestions for your research. Have a basic understanding of the geography of area you are interested in: The name of the region, province, or state, and whether borders have changed due to wars will help you get results. Have a general understanding of how records are organized: This can improve your research results for some countries. Don’t expect everything to be indexed: Some filmed records are now digitized, but may not be indexed yet, and will require patience and time to page through completely. Unindexed treasures may await you. Don’t be afraid to ask for assistance: FHC staff and volunteers are very knowledgeable, which can save a great deal of time, but researchers should not expect to have their research done for them. FHC staff and regular patrons have expertise in different types of research. A visiting researcher may be advised to return on a different day to meet with another staffer or patron who has the expertise needed. There may be a staff member who can translate records in other languages or who has experience in research for certain countries or ethnic groups. FHC staff should be able to provide guidance for making the most effective use of the FamilySearch.org website and FHL collections of records. Note: When standing in the parking lot, the Emerson Family History Center is on the right wing of the building complex.